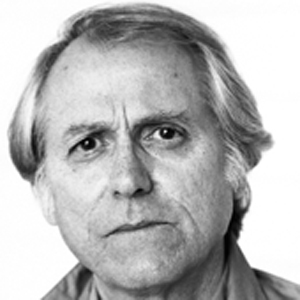 Don DeLillo is known as a literary curmudgeon. Suffice it to say he makes public appearances with great hesitance and many grievances; you can almost see him protesting onstage. He detests trivialities involving his work, and when pressed will pass on questions or give blunt one-word answers. So, when I was allowed to be a part of this class knowing he was going to speak, I was overjoyed. Delve Seminars are always a treat to the mind and soul, a place of community and joy. This one was no different, but in this reflection I will focus more on DeLillo’s appearance at the Arlene Schnitzer Concert Hall, given its rarity. DeLillo when forced into the limelight is like the classic western movie director John Ford: tireless in his genius and scope, but hopeless in basic human engagement about his work. The shame is that when he chooses to be, he is a great orator with a delightful wit (or so one of the few videos of him available on the internet would lead you to believe). This rare opportunity to see him was heightened by the sickening state of politics, especially given DeLillo’s literary commentary about government, just seven days after the presidential election of Donald Trump. He has discussed many times the world leaning on the precipice of disaster, one more regime away from destruction. In White Noise it is the literal “noise” of the television buzzing in the background of every home— empty conversation, the possible noise of death, like an electrical transformer, along with the arrival of a physical toxic cloud. Andrew Proctor from Literary Arts introduced the Don DeLillo talk on the verge of tears. There was our own toxic cloud in the room that night, rising all the way up to the hundred-foot domed ceiling. I won’t mince words: racism, poisonous rhetoric, the breakdown of the media as an outlet for truth, and just utter ignorance had won the election. There were already talks of racist white nationalists being moved into the new cabinet (Steve Bannon). Everyone was curious how DeLillo would respond; I could hear the whispers while we waited for him to take the stage that night. Would he take it as a soft punch, a challenge, would he glare back, or would he shrug his shoulders and proclaim he had warned of this years ago? Would he take the Terrance Hayes (another Literary Arts alum) approach and challenge the predominantly white Portland crowd to actually do something about what they saw? In White Noise the main character is a professor of Hitler studies. The book makes clear human fascination with our own evils and what a danger an uninformed populace can be, as well how an authoritarian can rise to power. I speak for everyone in that crowd when I say we expected a lengthy discussion on the subject. What we got wasn’t a lion’s roar, but a death-sigh. A depressive dismissal of any sort of discussion. He didn’t even want to sweat it. His nonchalant mannerisms and aloof tendencies were obvious the moment he came onstage. His aging voice quivered at times. It seemed like he wanted to talk about his new book Zero K and be done with it. I was honestly a little sad. Don’t get me wrong, it was a once in a lifetime experience and I am forever grateful to Literary Arts, but I saw an opportunity of privilege wasted that night. And that is how I felt about DeLillo at that moment onstage. Perhaps his fight was gone, or his anger was private, or he was in shock himself, or in his mind the audience weren’t the ones he needed to go on a tirade to. Regardless, I saw him in a meditative panic. His words had come to life, and perhaps that haunted him. Masses of mostly white rural people, guided by racism, fear, and lack of education; large families—communities—of people rejecting facts and gaining power via gerrymandering; a calculated tyranny of the minority by political deception. We live in a world on the brink of oblivion or utopia, and the country we live in is economically leading that plunge headfirst into the future, demise by our own design. We have racist/misogynistic government systems on every level, with a greater number of people incarcerated than any other country on earth (targeting disproportionately those of color), a failing education sector, mass misinformation campaigns, and a severely broken political system. There is little hope to be had except by those strong wills around you gleaning onto that last drop of it. Or as they might call it: survival. Honestly it was hard to focus during the seminars. The political climate and depressing nature of the work we were studying made it difficult to muster up answer to questions. We too were a part of DeLillo’s novel, our worlds overlapping… and yet, myself and DeLillo, white men, are the least affected by all of this, until our death of starvation or old age we will always hold that privilege, and the only logical thing may be to use it for some good. I guess I hoped DeLillo would use that night in some way to impart hope to the audience, to tell fans of his that there was light at the end of the tunnel, that he wanted to help. I wanted anything but the slouched shoulder sigh of defeat I perceived that night. But perhaps this is just me. Perhaps I am still in need of life lessons necessary to understand why, like every DeLillo character. I realized his writing isn’t an explanation of anything really, but a mirror pushing the bitter parts of humanity back at itself. With a little clown make-up and a big smirking smile, he shows us the worst of ourselves in a literary package for our unnerving, for our unwrapping. So now we have become that which we have glorified and feared for years: a true futurist’s dystopian society in need of saving, in need of destruction or salvation, progression and rebirth. I see so much in the future of society, in its youth, so much hope, so many open hearts. I fear for their education, though, for their freedom, because the two are inexorably linked. Perhaps technology has removed us from the visceral emotion to do something against suffering, has made us so numb and overloaded we sit in our well fed, white privileged pedestals telling others what to do on the internet instead of digging our hands into the community and imparting any gifts we have on equal grounds. To understand systemic systems of oppression, white fragility, misogyny, and to do something about it, right here, right now. I know this isn’t the average write up for Literary Arts. I know it isn’t a happy read. But I want to take this moment to thank Literary Arts for what they do. It is an invaluable organization bringing the community education, thoughtful discussion, public spaces to meet and share feelings, a place for ideas. Literary Arts is a conduit for public events that challenge us in many different ways. A book can contain stories that transform themselves inside the individual into empowerment, empathy, understanding. The right book in a child’s hands is a piece of potential energy, personal liberty, a sense of community. I think in the end, even facing the clutch of authoritarianism, all we can do is find common ground to raise each other up, to impart any skills or privilege we have into the community, and open our ears to the disenfranchised members of society, truly listening without opinion. The prejudice systems in place only grow stronger now with each passing day, the answer to the meaning of life is your community, as this is where an individual can have the most impact towards change.